It’s a busy weekend for esports. Recently with these posts I’ve been trying to focus in on an interesting aspect of just one particular competition happening in the days ahead, but this week, there are too many events to choose just one. Halo 5. Heard of it? The game came out back in 2015 but its competitive scene remains strong and will see the the 2018 Championship Series come to a head in Atlanta at DreamHack. 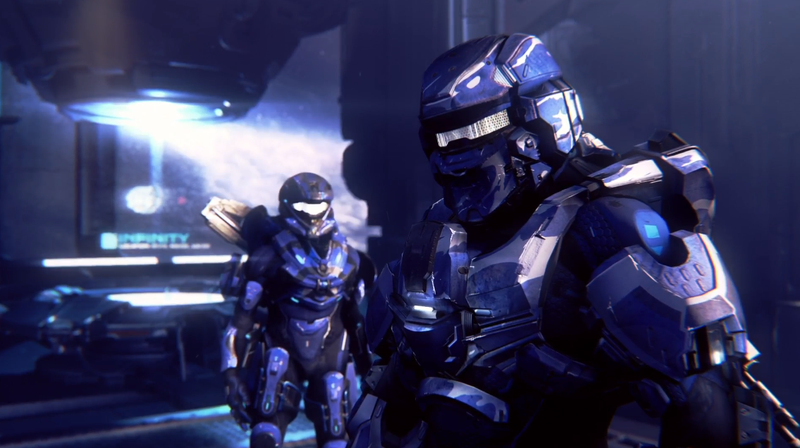 The Halo Waypoint blog spotlights the upcoming matchup between Splyce and TOX Gaming, who took first and second place respectively at the World Championship last April as well as HCS 2017 at last year’s Atlanta Dreamhack. Despite back-to-back World Championships by Optic previously, Splyce has gotten the better of them in their last few meetings, giving this all the makings of a great rematch. Matches will be streaming live on Twitch starting on Saturday at 12:00 p.m. ET and Sunday at 10:00 a.m.
DreamHack will also be hosting the Paladins, Smite, and Brawlhalla World Championships as well as tournaments in Hearthstone, Counter-Strike: Global Offensive Open, and a bunch of fighting games. You can find a complete schedule for the event here. Pivoting to the land of Super Smash Bros., Summit 7 has been going on for the greater part of this week, with matches lasting into tonight, resuming on Saturday at 1:30 p.m. and again on Sunday at the same time for the single bracket finals. Melee heavyweights Hungrybox, Mang0, and Mew2King will be in attendance, and with the recently retired Armada out of the way, there’s space for the game’s other stars to take center stage before Super Smash Bros. Ultimate comes out and we all briefly pretend that people might finally stop competing in a 17-year-old GameCube game. You can stream that tournament here. Dota 2, my personal jam, sees its first Major of the 2019 season play out this weekend in Malaysia. Evil Geniuses will face PSG.LGD overnight in the lower bracket beginning at 11:00 p.m., while Team Secret and Virtus.pro face-off in the upper bracket on Saturday morning at 5:00 a.m. The grand finals for that event take place on Sunday at 3:00 a.m., so be careful not to have the results spoiled for yourself. The matches will be streaming here. Finally, just because Pokémon Let’s Go! came out today doesn’t mean everyone has turned their backs on last year’s Sun and Moon games for the 3DS. The 2019 competitive Pokémon season kicks off this weekend in Brazil with the 2019 Pokémon Latin America International Championships. The event features tournaments for both the video and card games, and action begins on both Saturday and Sunday at 5:45 a.m. Matches for the 3DS games will be streaming here, while matches in the card game will be streaming here.